Amazon has been under attack since its facial recognition technology demonstrated rather blatantly that it contains inherent biases against people of color. That the company continued to try to sell its technology to various federal, state and local law enforcement agencies despite the findings, added to concerns that it was more concerned about the sales than the efficacy of its product. 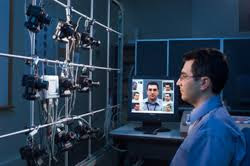 Amazon released a blog post proposing ethical guidelines around the use of facial recognition technology and called for national legislation on the topic. The debate about Amazon’s use of the technology in particular has intensified because of evidence of racial bias and errors with the tool, such as when the ACLU ran a test on the software and found that it misidentified 28 members of Congress as matching with criminal mugshots — disproportionately mismatching members of color. (In it's blog post, Amazon wrote that the “service was not used properly” in such cases.) The company has also come under fire for pitching its software to ICE, according to documents obtained by the Project on Government Oversight. Critics such as the ACLU worry that ICE could use the software to unjustly target immigrants with greater efficiency.